It's an odd subject for me to blog about. 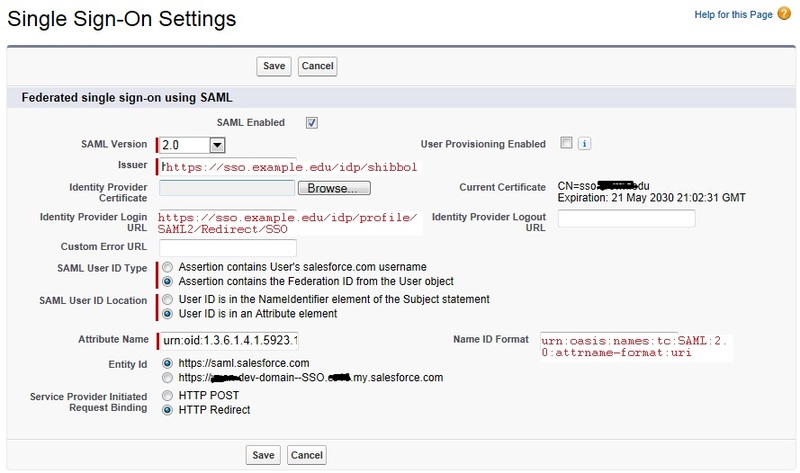 My knowledge level of salesforce.com is practically 0; my knowledge level with Shibboleth: 0. I learned this word and the product a few days ago when I had to help diagnose an SSO issue between force.com and a client site. 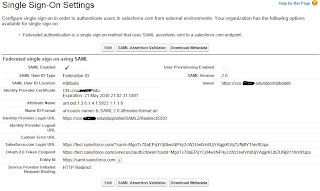 There are tons of posts sharing their experience on how to make SSO work between force.com and Shibboleth. Everyone shared their success and failure stories. I mostly chewed on these posts and with trial and errors and made it work in our case. I thought I'd share what I learned. 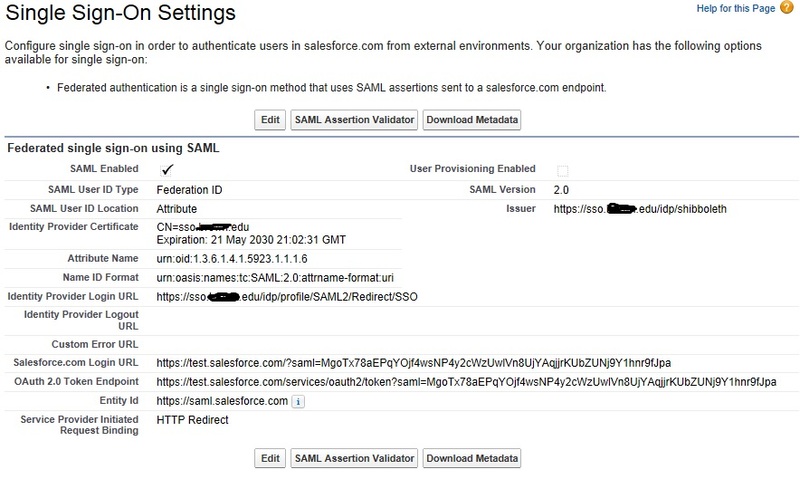 Select Setup menu, search for "my domain", then select "Use the following Authentication Service My SAML IDP"
Hi, have you tried to enable the provisioning? I did and the SSO of new users always is failing. 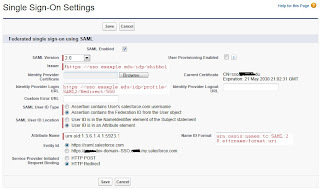 hats nice that you used both salesforce.com and Shibboleth IDP. You could have contacted the troubleshooting team to check for the seamless functioning.